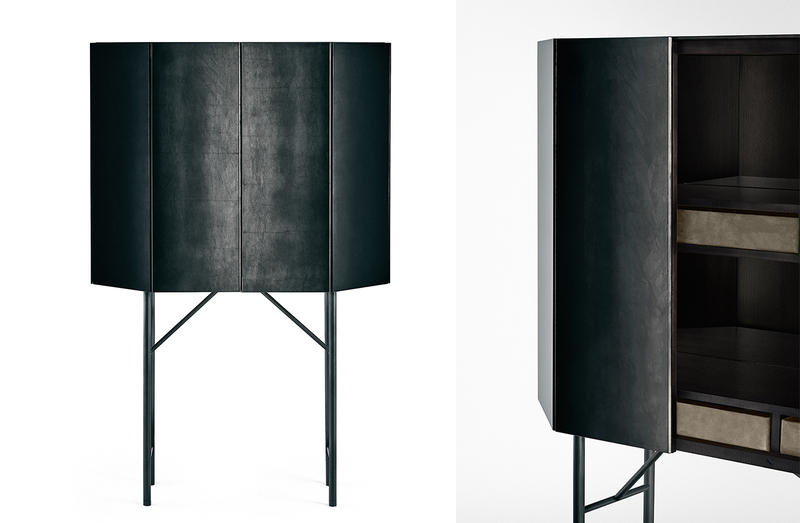 Bar cabinet in ash wood with black open pore lacquered finish covered with tempered glass with hand painted finish. Base in patinated bronze lacquered metal. Interior mirrored glass back, concealed shelves, and small drawers covered in suede leather. Please see ADDITIONAL SPECS for sketch.